Gary Trainor is to take over the lead role in SCHOOL OF ROCK THE MUSICAL from 17th May 2017. Stephen Leask will also be joining the cast as the alternate Dewey Finn. The show is currently booking to 14th January 2018. 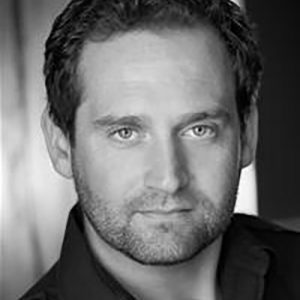 Gary Trainor's (Dewey Finn) previous theatre credits include Donnie Kirshner in the West End production of Beautiful The Carole King Musical, I Can't Sing at the London Palladium, Potted Potter at the Garrick Theatre and on tour in the US and Australia, The Shawshank Redemption at Wyndham's Theatre, Prophecy for The Old Vic New Voices and at The Public Theatre, New York, Into The Woods at the Landor Theatre and Jago at the Pleasance Theatre in Edinburgh. He has also toured the UK in Buddy, Frankenstein: The Year Without a Summer, Stones in His Pockets and The Oxford Passion. Stephen Leask's (alternate Dewey) previous theatre credits include Robin Hood at The Egg Theatre, Bath, The Canterbury Tales at The Pantaloons, One Man, Two Guvnors at the Theatre Royal Haymarket, A Little Hotel on the Side for Theatre Royal Bath, The Revenge of Sherlock Holmes at Hoxton Hall, Staunch for Theatre 503, Potted Panto at the Vaudeville Theatre, Newsrevue at the Edinburgh Festival, The Secret Garden for Birmingham Rep and Troilus and Cressida for the Royal Shakespeare Company. 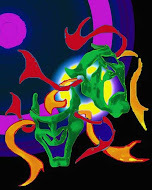 Leask is a member of the Merely Players, a theatre company dedicated to producing accessible productions of Shakespeare. His television appearances include Nightmares, Our World War, The Intern and Eastenders.